Here’s some of the food I made during the weekend. 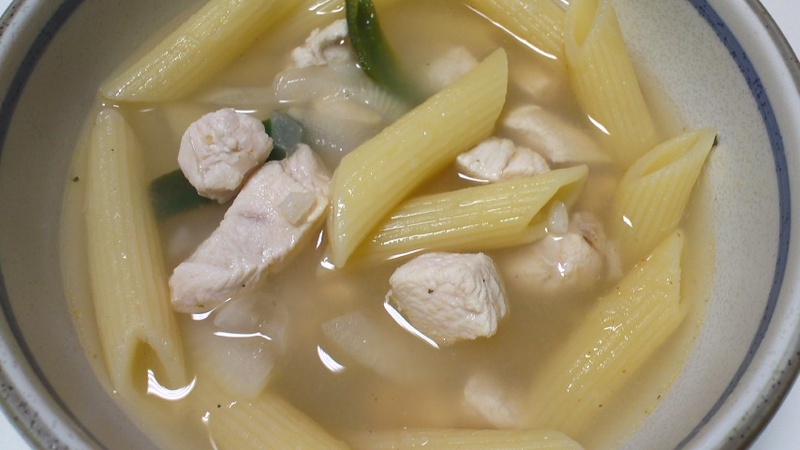 Per my husband’s request, I made chicken noodle soup. We didn’t have any crackers or crunchy things (something my husband always needs during a meal), so I decided to make flour tortilla chips. 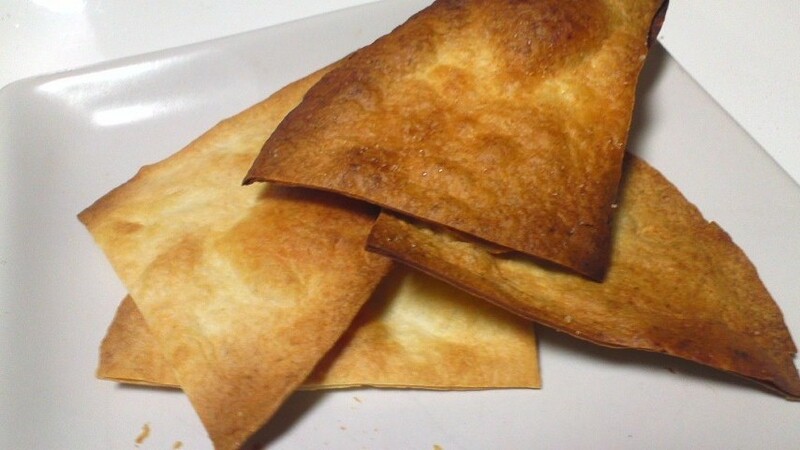 Normally, tortilla chips are made out of corn tortillas and fried. Unfortunately, the stores in Okinawa mostly have flour tortillas, so I just improvised. Actually, I preferred these chips compared to buying Doritos for nachos. First, I brushed some oil on both sides of the tortillas, sprinkled some salt on them, and cut into pieces before baking them for 5 minutes. The first attempt wasn’t so much a failure but a learning lesson. One minute makes a big different in how good your chips will turn out. My second attempt at flour tortilla chips, and they turned out really good! I added a little bit of guacamole to go with my husband’s brunch of fried eggs and bacon. 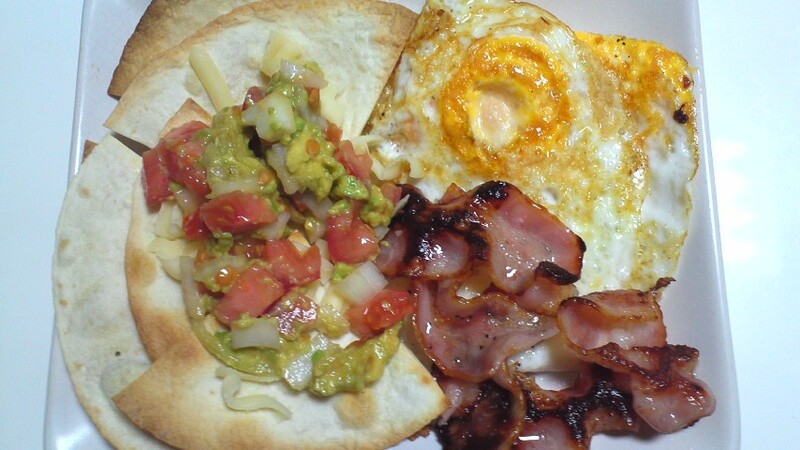 This entry was posted in Food (食べ物), Japan (日本), Life (生活) and tagged bacon, chips, flour tortilla, food, Japan (日本), Mexican, Southwest, style. Bookmark the permalink.